Here is an attempt to recapture just a small slice of what it was like to be at The Great Cut. We’ve left names out because including names would make this impossible. So many incredible things happened, we can’t begin to tell the full story here. We hope you’ll share your experience with The Great Cut in the comments below. 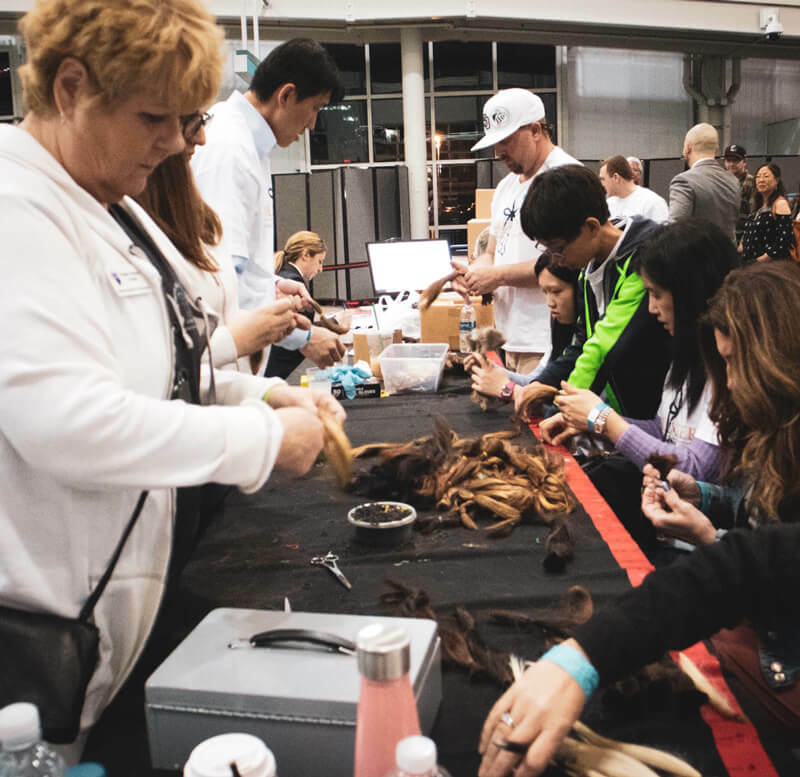 Over 1,300 hair donors, stylists, volunteers, performers and guests came from around the world to attend The Great Cut, with entire families traveling from as far as Boston. 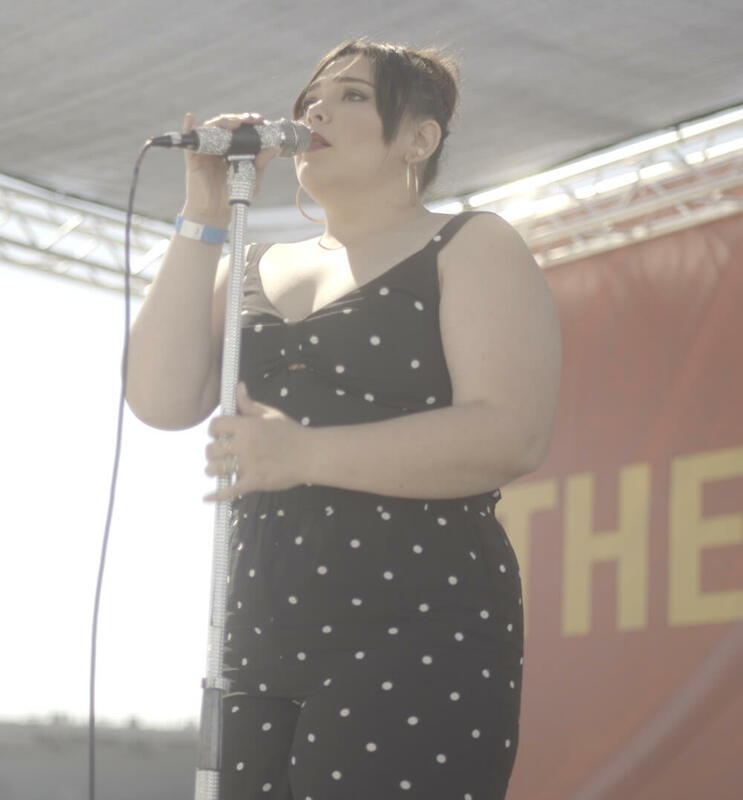 Others traveled from Canada, Thailand, and the UK, as well as Maine, New York, Massachusetts, North Carolina, Michigan, Louisiana, Wisconsin, Colorado, Texas, Maryland, Pennsylvania, Florida, Indiana, Arizona, Oregon, Washington, and many other places. Mail-in hair donations from nearly every state in the U.S. and a dozen countries as far as Australia and Japan contributed. 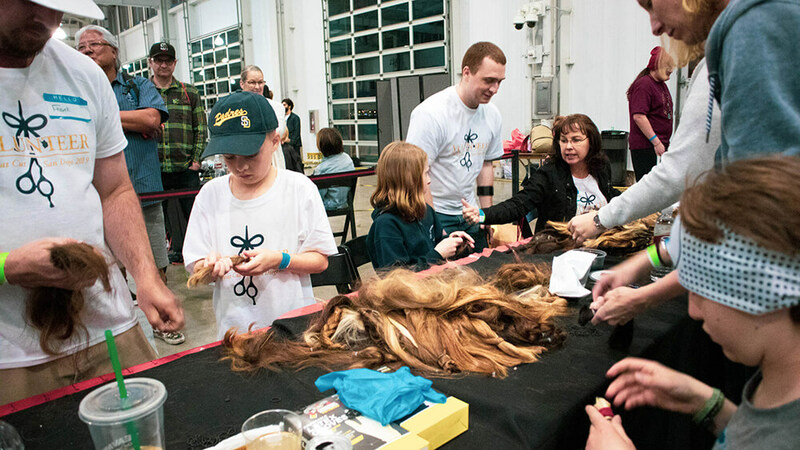 Between these and haircuts in person, we received over 2,834 individual hair donations. 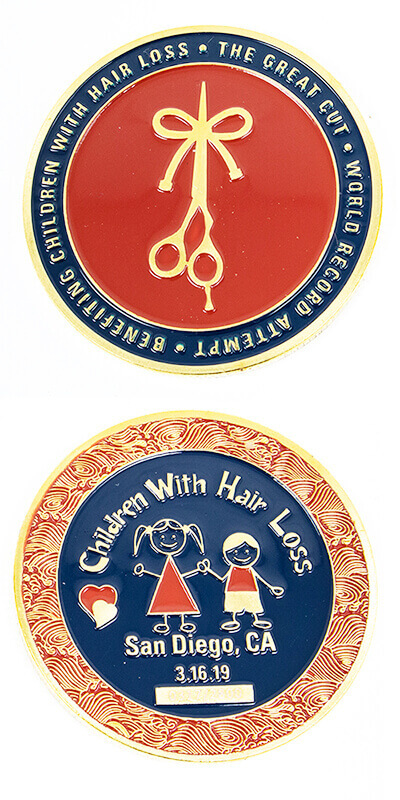 As for those who attended, 349 hair donors cut their hair at the event. 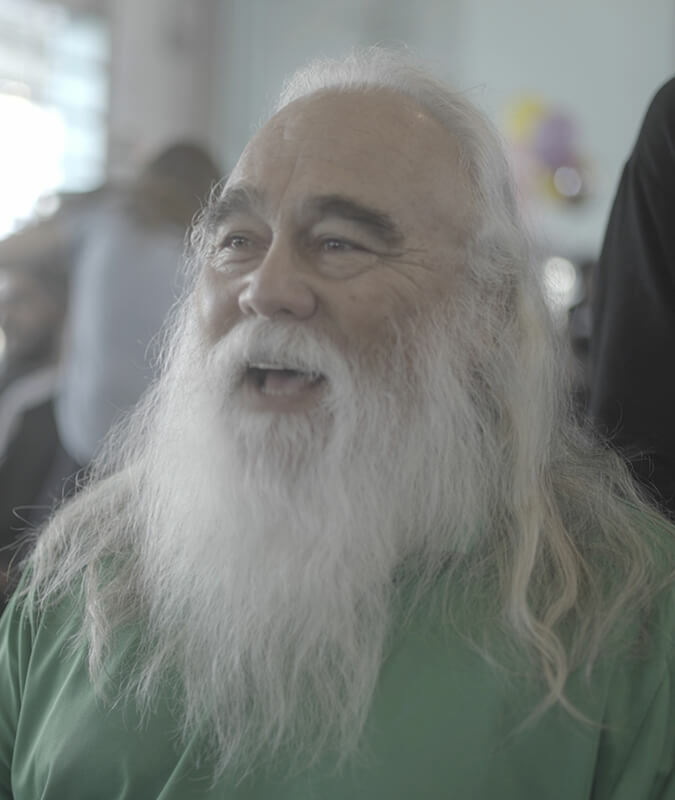 Many of them were young guys, in their 20’s or 30’s, who came alone, cross country, guys who had been following us for years, grown their hair out with us, and now, when we asked them to cut it, they traveled thousands of miles to come and cut it. Of these bros, there was a group of eight or more who shaved their heads completely. There were lots of older guys: greyhairs, silver foxes and longhair lifers. Some had been growing for decades and came to cut it for the first time. Others made a habit of donating every few years, or had been waiting for the right time to donate. Local San Diegans came and cut their hair. Kids and entire families cut their hair. Our own friends and family cut their hair. People off the street cut their hair. And of course, your boys cut their hair. 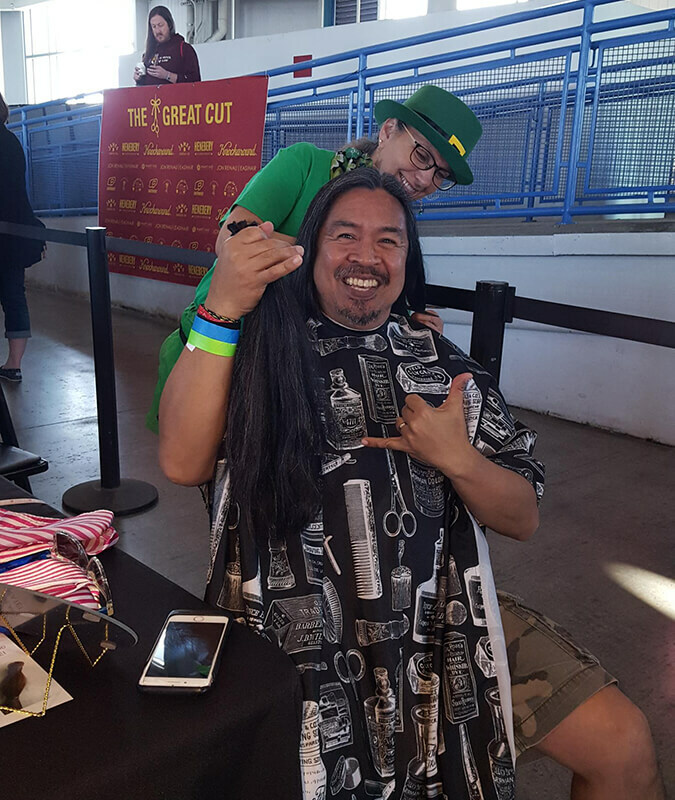 El Rubio donated 14 inches from his mane, while El Moreno shaved his head completely for a donation of 24 inches. 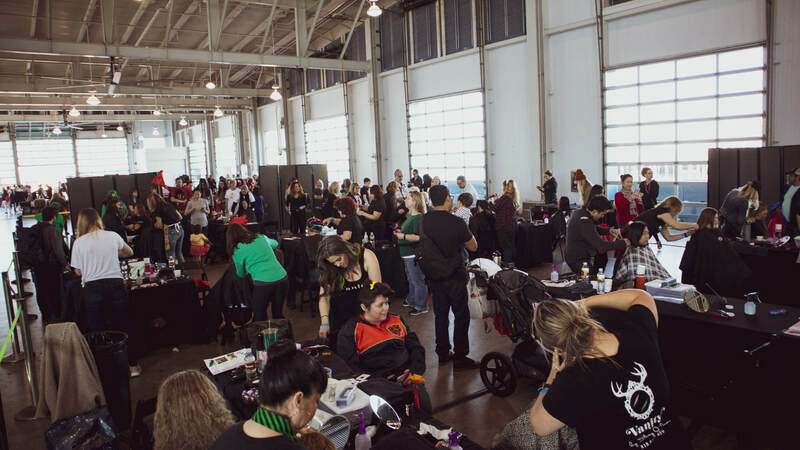 All this cutting necessitated hair professionals, who came in force and brought the heart, with 100 hair stylists and barbers on hand to perform the cuts. They were comforting and compassionate, taking the time to meet each hair donor, ask where they came from and why they were donating. They did their work professionally, and we were in good hands. 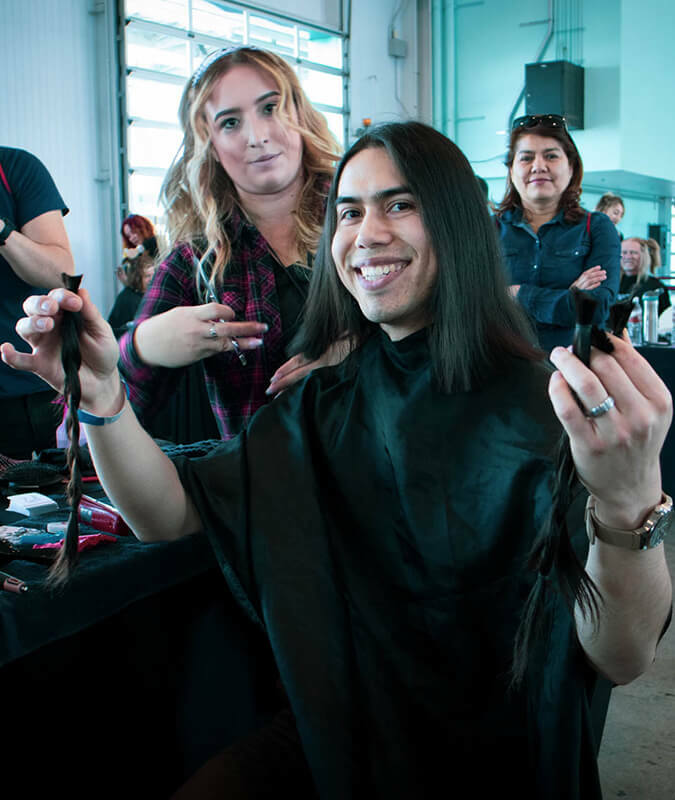 Nearly 100 kind volunteers showed up, many of whom volunteered and cut their hair. These folks worked all day in many cases, running registration, checking in donors and ushering them to their cutting stations, sweeping, sorting hair, working security, and other jobs we didn’t anticipate or plan for. When the chips were down, they figured out what needed to be done and they got their hands dirty. 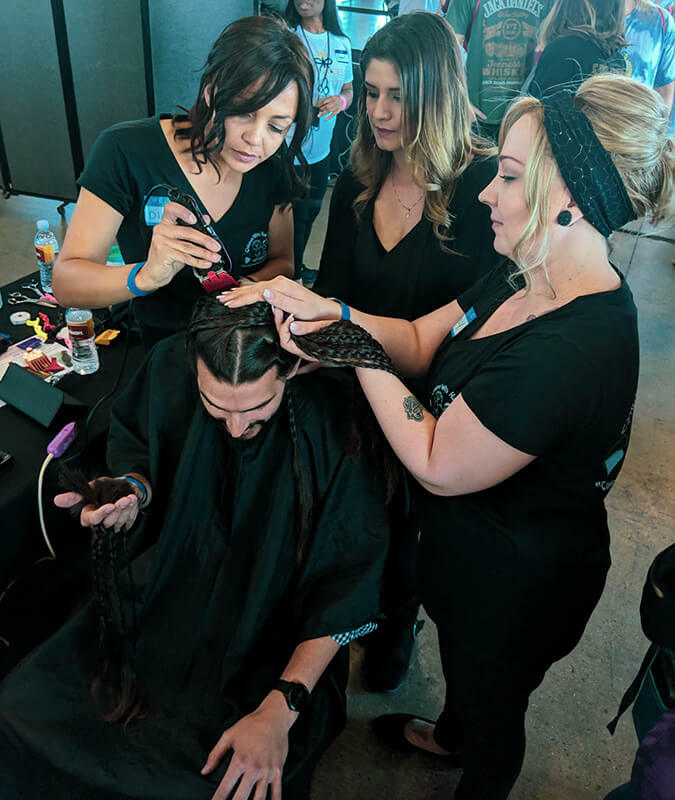 The team from Jon Renau came through in a huge way, sponsoring six hair professionals and sending another ten volunteers, from running orientation at the cutting zone, processing hair into the late hours, and sticking with us until the very end. Performers came, and they performed, many traveling long distances at their own expense to be there. 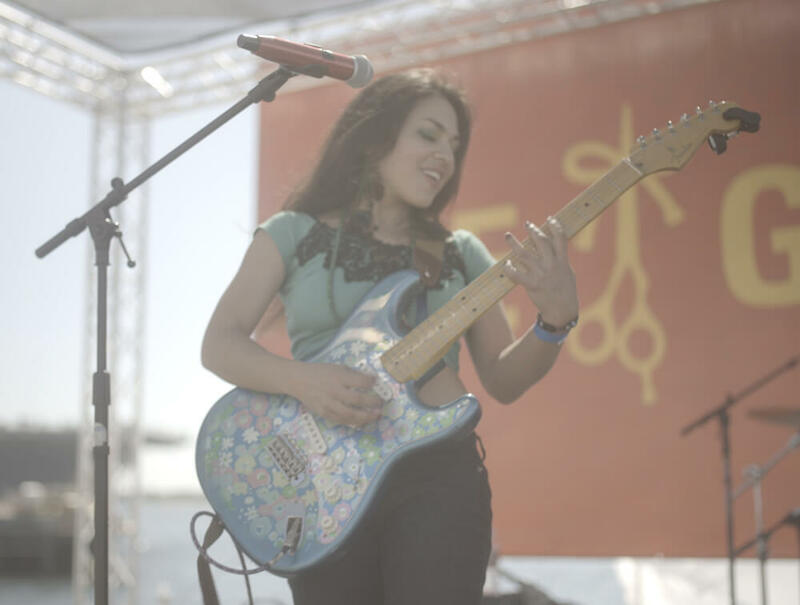 They brought music and magic, giving it all they had on the stage, blessing the day and our mission with their art. Our sponsors made it happen. 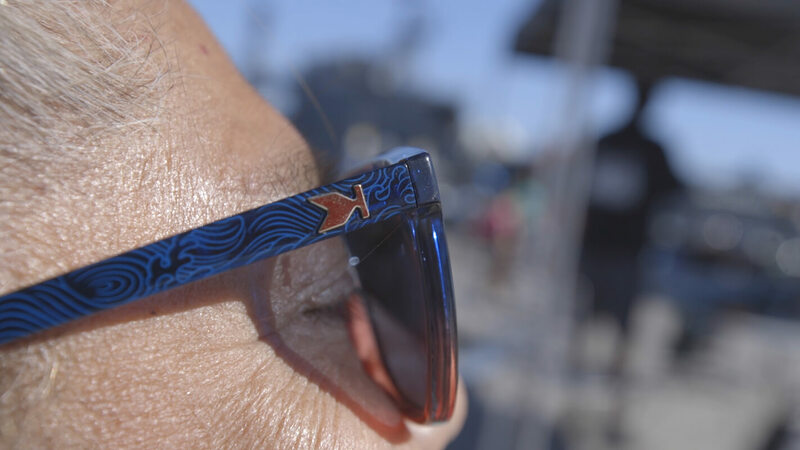 Knockaround impressed with their generous donation of Let It Rides for every person in attendance. James Coffee Co. kept everyone caffeinated with complimentary artisan roasted coffee. Henebery Spirits coordinated and served libations, while the red drawstring backpacks provided by Q Swimwear could be spotted from space. 30 other business sponsors contributed, please do visit them here and help us thank them. We were joined by recipients: kids with alopecia, trichotillomania and other ailments, and their families. Having them with us was special, offering a clear and present visualization of why we were all gathered. They were happy to be there, and grateful, and their parents were friendly and kind. 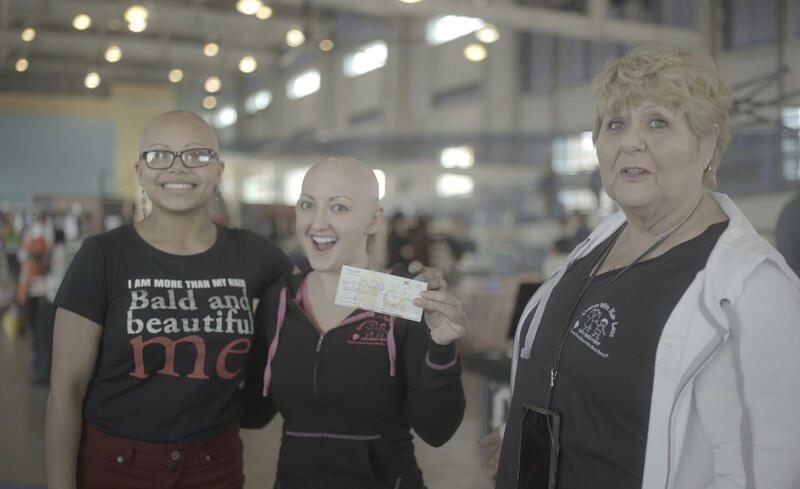 Children With Hair Loss came with no fewer than 10 staff and volunteers, traveling all the way from Michigan to be there. It was certainly the largest gathering of our own families and friends in our lives. One man proposed at The Great Cut, and she said yes. The support was nothing less than extraordinary, with remarkable participation, effort, teamwork and leadership. Meanwhile temperatures hovered consistently at 71° with bright sunshine and a cool Pacific breeze, capped off with a stunning sunset over Coronado Island. 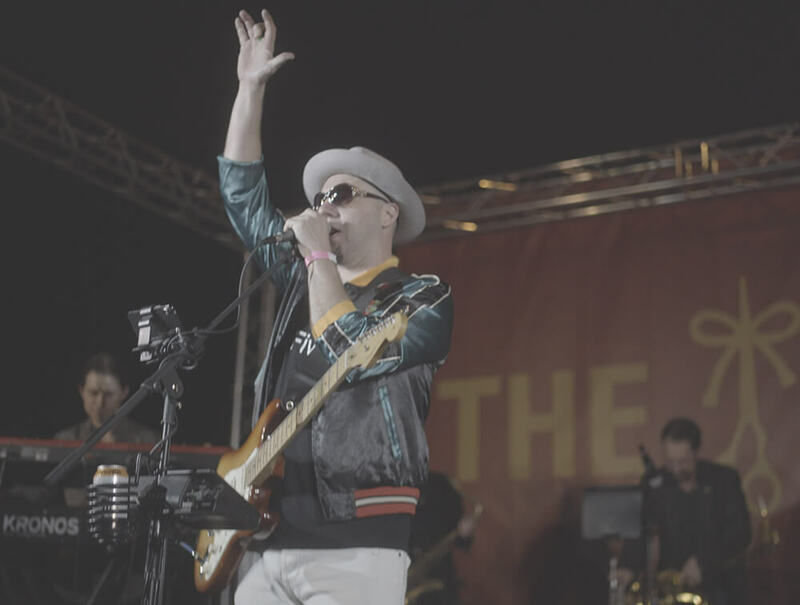 All throughout, there was an undeniable energy, seemingly permeating from the very walls of the venue, filling hearts with excitement and positivity. It was electric, and every person there was affected by it. From every person who cut their hair at The Great Cut. See them all and find yours. We’ve posted a selection of photos from The Great Cut, where you can also upload your own. Please do share, so we can all see and relive our experience from another perspective. 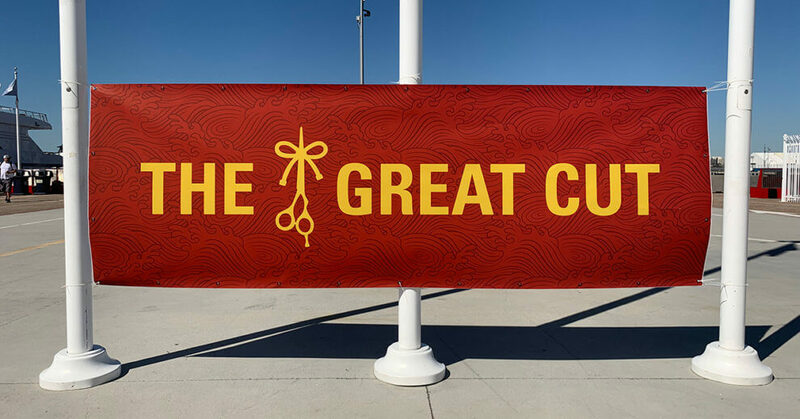 If you attended The Great Cut and you did not get a gift bag, please visit here to claim yours. There are more stories from The Great Cut than we can possibly tell ourselves. 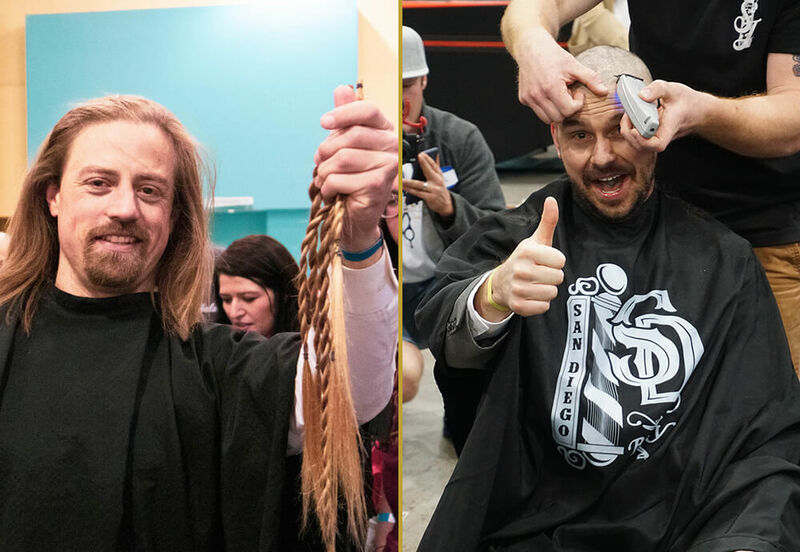 For every experience, every hair donor, every haircut, every person who attended or mailed in their hair, there is a story, while many new stories were made. We hope you will share yours in the comments below, that we might all have a chance to reflect and reminisce on the great achievement that was The Great Cut. Hi my son Arian who is now 5 years decided to donate his hair .. After 5 years of being called girl but he never cared he love his hair .. i read to him about you guys and he said yes mommy iam ready to donate my hair so other people can enjoy it i will like to send pictures of his before and after that day was his birthday party so we couldnt attend the event but we mailed it we are happy that the goal was met ! It was a day like no other I’ve ever experienced and I’m really old! Everyone who was there wanted to give something, their hair or their time or their help, something. I’m still reliving it and I can hardly stop telling your story. Love to you guys ❤️❤️❤️. Beautiful. ❤️ I’ll have to be there next time. Congrats on a successful event. I think the idea for El Moreno and other guys that went more severe with their hair cuts to do regular updates on growing out their hair, and powering through the awkward stages would be massively inspiring to other people to join the long hair club. It would also help inspire those that have thought about donating their hair but been put off by the awkward stage that would come from growing it back. I still remember the awkward stages when I was growing my hair out in my early-mid teens. It seemed to take forever, and I got some serious crap for it in school! If there are journals from guys with similar hair to mine (B3 waves, very course: from memory it has a mind of it’s own and just sticks out and is uncontrollable between 5 months – 14 months growth, probably the worst part is around 6 – 8 months granny perm/mad scientist stage) perhaps I will do a donation in future, if there is a plan in place (i.e what to do on days where you can wear hats for example due to more formal events) to navigate the awkward stages. While we couldn’t be there in person, we were certainly there in spirit, watching the social media pages throughout the day and shedding a tear or two for the outcome. My daughter has received her wigs from Children with Hairloss for 13 years now and we are so grateful for the awareness you have brought along with the hair and money. 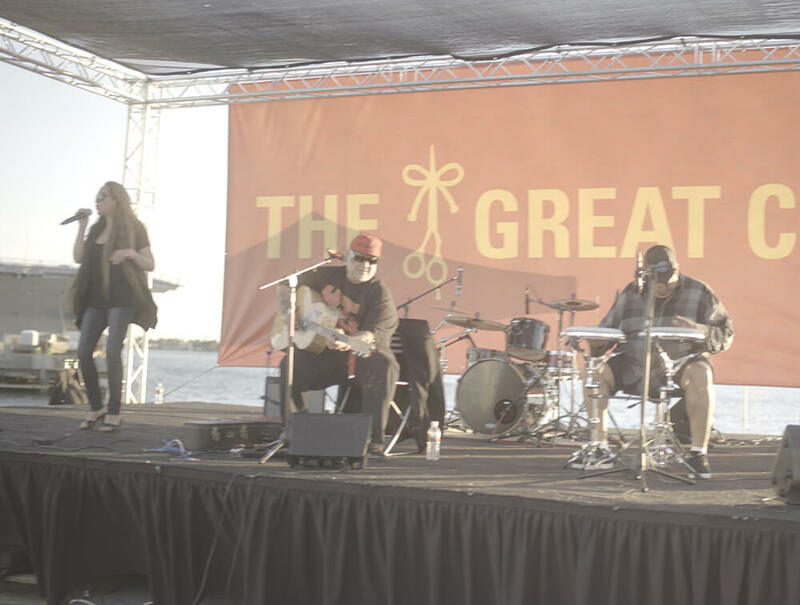 Watching two Longhairs over the last 6 months finalize this event and pull it out with such grand fashion, engaging hundreds of folks across the world has been the single most impressive thing I’ve seen. 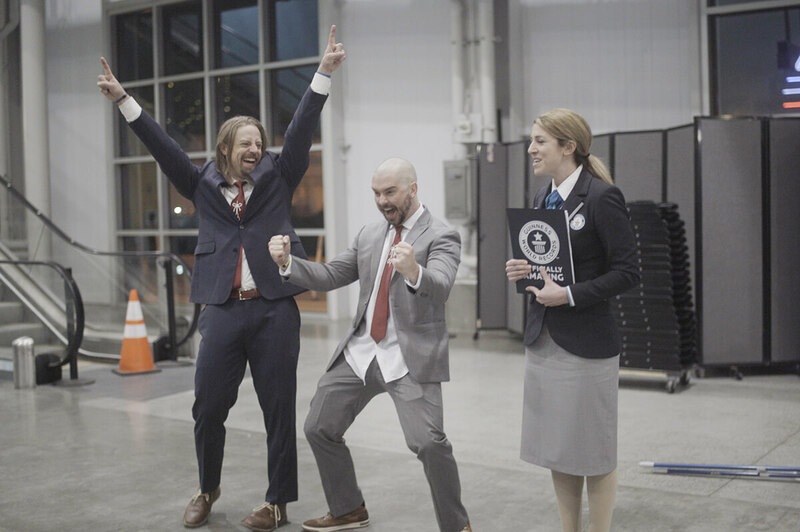 What is so apparent and heart warming is their incredible passion for this cause, evidenced by the look in their faces when they beat the record. I, along with dozens of others I’m sure, am so damn inspired by their effort. 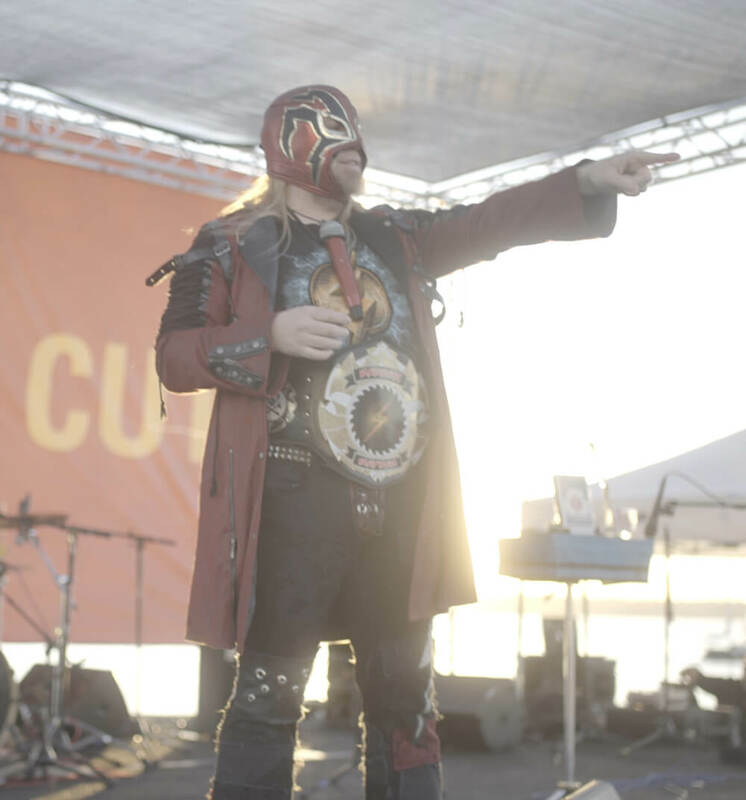 I’ve been involved in a lot of special events but none come close to the energy, organization, thoroughness, fun, sucrsssful event that The Great Cut was. A sincere thank you and congratulations to all involved! A small hometown salon in Vermont known as the Red Clover Salon, was with you all months before and through to the record break moment. We had hair donations from throughout the previous months ready to donate directly to CWHL, then we heard of the Great Cut! The whole salon and clients for the month leading up to it were so excited and created a great buzz! Mary the salon owner and stylist Holly (who is familiar with San Diego) were going to attend to cut, but due to some unfortunate events that happened they did not make it out. The salon and very generous clients did manage to however ship out five pounds of hair in time to add to the great weigh in. In all honesty, this recap has brought me a sense of peace and a real coming to terms and accepting my new cut. I wasn’t a fan at first, I took it kind of hard…I had long hair for 23 years. So I consider myself a longhair lifer and will continue to grow, and rock the locks! I was at the event for several hours (delaying the inevitable) and I must say every word of this recap is 100% on point! 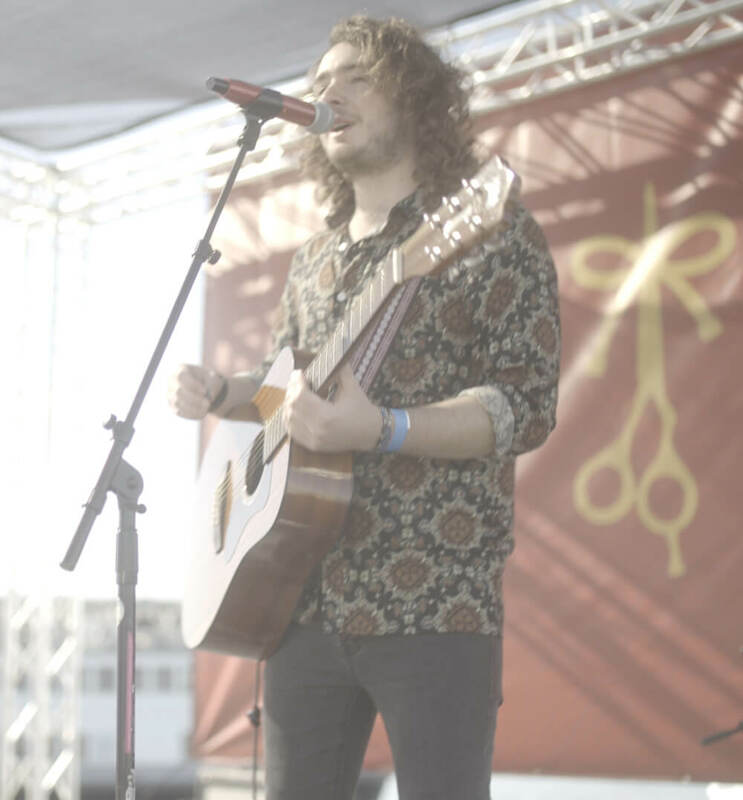 It helped reaffirmed my reason for committing to the shears in the first place… and that was to help bring less fortunate children joy with the experience of having long hair. My hair has taken center stage on a number of occasions over the last 23 years. I’ve been asked probably well over 100 times to donate it for various causes, events and organizations from all over the country. Some have said I was blessed for having it and maintaining it so well for so long. So, when this unique opportunity presented itself, I felt an obligation, and a duty, to be a part of it! It was time for me to let a child less fortunate than I, enjoy having long hair, the way I did. I was all in from day 1! That being said, I am honored to have been a part of this amazing event that brought so many children so much fulfillment and positive energy. 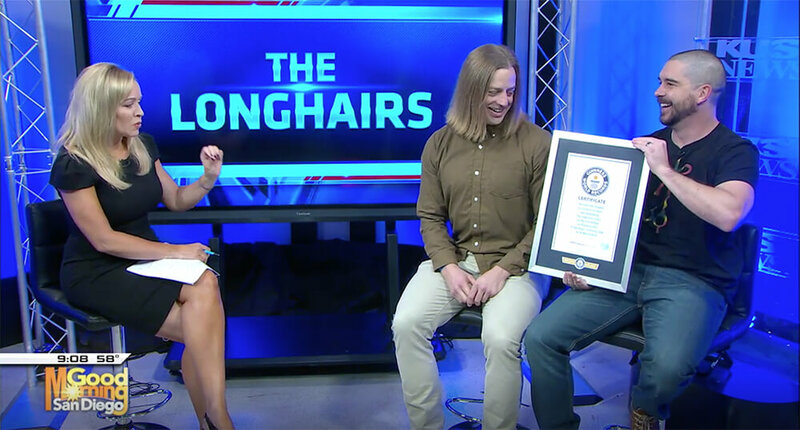 Thank you Longhairs and thank you CWHL! Let it ride! ! ! I was sitting facing the ramps, surrounded by people with cameras, as my hair professional started ponytailing my hair to be cut. Up on the ramp was a little blonde girl with her family, just staring at me. I waved and smiled. She waved and half-smiled. I made a scissors-cutting motion and said, “Are you cutting your hair?” She said, “What?” with a puzzled look. I did the motion again and asked if she was cutting her hair. She reached up and took off her wig. I started crying. My hairdresser started crying. 16 people around me started crying. I’m pretty sure her parents were crying. She may have been crying. After my son cut my first ponytail, I held it up toward her and said, “This is for you.” She gave me heart-hands, which I gave right back. Then she gave me thank-you/prayer hands, and I held out my arms to her. She launched herself down that ramp, and people were holding up barriers and pushing aside chairs to let her get to me. She gave me the biggest, tightest, most wonderful hug of the whole day (and I hugged 1,000 people that day). Our souls made a connection right then and there, and everyone who witnessed it knew. It was overwhelming and astonishing and a blessing to see how my small gift–just a little hair–led to a human connection with a beautiful little girl who couldn’t grow her own. P.S. I’m still in touch with her Mom and am going to see them next time I visit their town. The connection is real.